This rod and cable coupler is a trick way to fasten a cable (3/64", 1/16", or 5/64") to a control rod. Its hex head has a 1/4-28 through threaded hole to fit our throttle rod, and on a paralled axis, a 2mm drilled hole for the cable end. 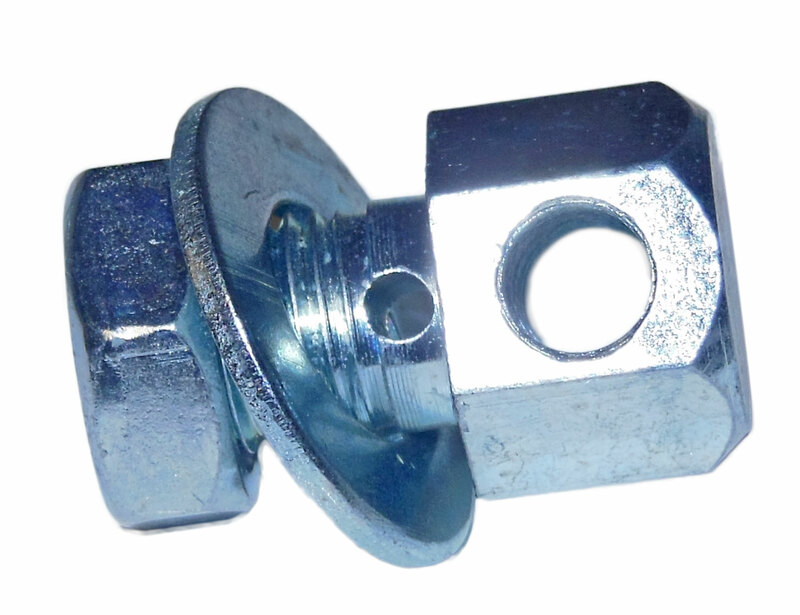 Secure the cable with a 3/8-24 jam nut and a 3/8" flat washer, and there's no need to bend or loop the cable where it's attached to the rod.